Realtor Andrea Schlosser in her brokerage’s lobby. 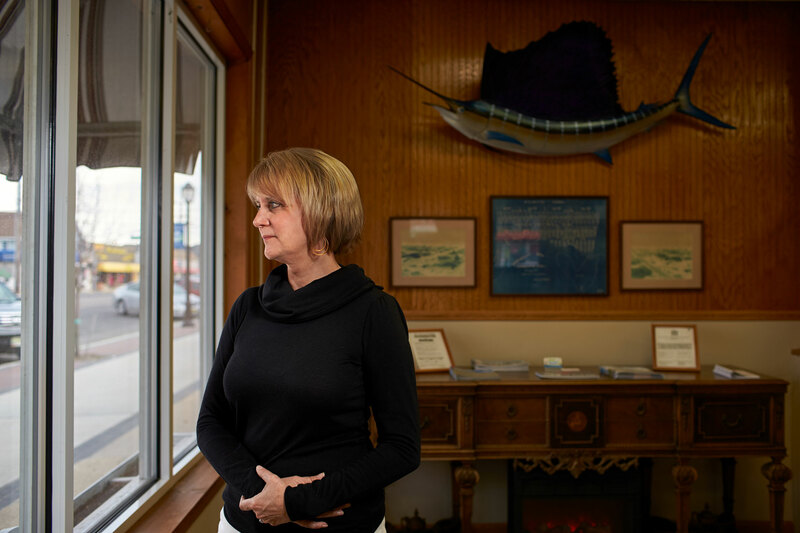 Hurricane Sandy’s waters inundated the front of her business rising to a height just below the wood paneling. Photographed in Lavallette, NJ, for Realtor Magazine.